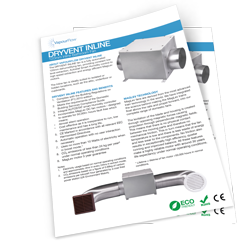 The Dryvent Inline fan is a fully automated 125mm dehumidifying fan, providing constant low level extraction, Autostat Smart Humidity control to high speed extraction and energy efficient MagLev motors. The Inline fan is ideally suited to isolated or hidden locations, such as the attic, underfloor or cupboards. 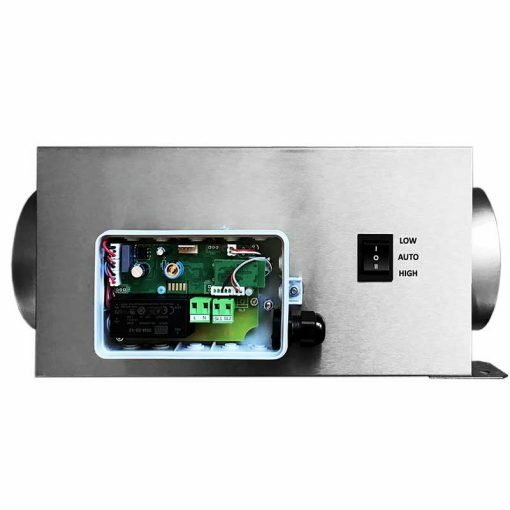 * Electricity usage based on normal operating conditions and approximately 4hrs in every 24hrs in extract mode. ** CO2 emissions based on a figure of 0.68kg of carbon emissions per kilowatt hour generated by a coal fired power station (UK Environment Watch). 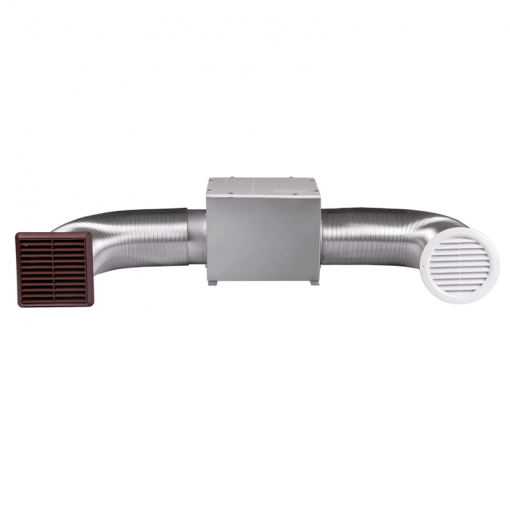 The DRYVENT INLINE bathroom fan is supplied with two semi-rigid ducting sections (1.5m length each), internal white grille and external brown grille.